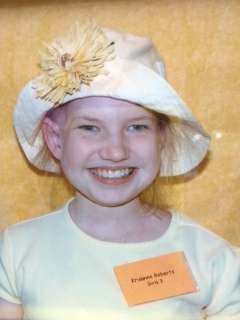 The Yellow Day is inspired by former Camp Grace Camper Krisanna Roberts. Krisanna, who passed away from cancer at fifteen years old, had an incredibly hopeful and powerful spirit that continues to inspire her community. With her family’s support, Camp Grace now holds an annual Yellow Day, a day of family entertainment and fundraising, based around the Krisanna Roberts’ concept of Living in Yellow. The day represents Krisanna’s vision, as well as something wildly unique about the Yellow Day: there is a feature film and entertainment property surrounding Krisanna’s themes. Recently filmmakers took the imagery and spirit of Krisanna’s concepts and turned them into the family movie Yellow Day. 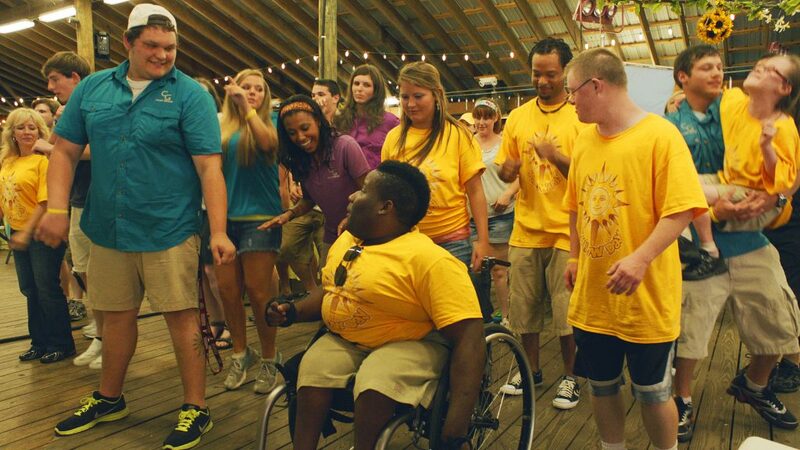 Yellow Day is a partially animated family movie, focusing on the miracles occurring at Camp Grace. With the 2017 DVD/Digital launch of the movie, the Yellow Day event will incorporate movie elements. New stories are also being created around Yellow Day too. Some people live three life times in a single life. Some do the same in fifteen years. Krisanna Roberts was one of those who, in fifteen years, shared so much joy and light that her presence still resonates across her community. In many ways she is a voice for the many campers at Camp Grace who, through their incredible courage and gratitude inspire others to success. Krisanna’s vision of living in Yellow means being grateful in the darkest of times. 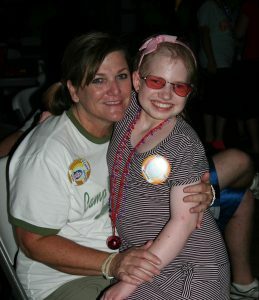 One of Krisanna’s favorite places was Camp Grace, which she went to summer camp, attending Camp Rap-a-Hope. Krisanna had many memorable phrases, many of these phrases based on the color yellow. For most of her life, Krisanna faced a rare cancer. In the final six months of her life, she was not feeling well, and so the doctor’s asked her to use a color to describe days that were good. Krisanna chose Yellow. And in those last days, Krisanna chose to focus on the good things, and nearly every day was Yellow. Krisanna’s resilience inspired the idea of living in Yellow. The idea is that, even in the darkest moments, God has a plan for us and it is full of hope. To live in hope is to live in Yellow. Filmmakers Carl Lauten and GP Galle Jr heard the story of Krisanna Roberts and were inspired by her courage. 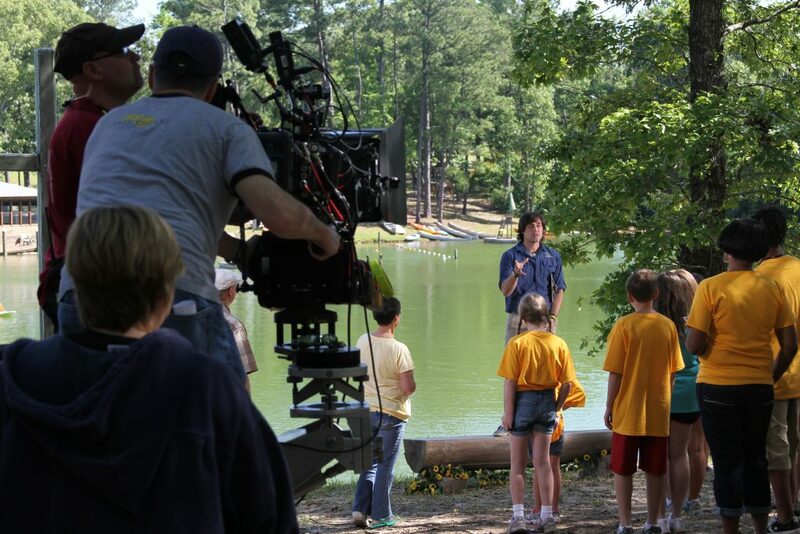 The result was a feature film Yellow Day, based upon stories of a place Krisanna loved the most: Camp Grace. Yellow Day is a wildly imaginative, partially animated film, which states that on the Yellow Day, Camp Grace transforms into the Land of Grace, a place where people see others as God sees them. Yellow Day was nominated for a Crystal Dove award, posted the highest per theater box office in the nation, and took tender subject matter and presented it in a fresh and non-intimidating way. With the live event and movie on DVD, new stories are emerging based upon the Yellow Day concept. With the movie out on DVD 2017, Camp Grace and Yellow Day the movie combined their resources to produce the event Yellow Day. Yellow Day draws upon the themes of the movie to promote the work at Camp Grace and to give families a safe day of fun. At Yellow Day people can learn about Camp Grace, participating in arts and crafts, children’s tours, live music, food, as well as the many fun things Camp Grace has to offer.